Alessandra Casella is professor of Economics and professor of Political Science at Columbia University and a fellow of the National Bureau of Economic Research (Cambridge), and the Center for Economic Policy Research (London). 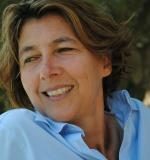 She received her PhD in Economics from MIT in 1989, taught at UC Berkeley before moving to Columbia in 1993, and held the position of Directeur d’ Etudes (temps partiel) at the Ecole des Hautes Etudes in Sciences Sociales (EHESS) (Paris and Marseilles) from 1996 to 2010. Her main research interests are political economy, public economics, and experimental economics. Casella has been the recipient of numerous fellowships: she has been a Guggenheim fellow, a member of the Institute of Advanced Studies in Princeton, a Russell Sage fellow, and a Straus fellow at the NYU Law School. Her book “Storable Votes. Protecting the Minority Voice” was published by Oxford University Press in 2012. Casella is Director of the Columbia Laboratory for the Social Sciences. Abstract: We develop a framework to study the dynamics of vote trading over multiple binary issues. We prove that there always exists a stable allocation of votes that is reachable in a finite number of trades, for any number of voters and issues, any separable preference profile, and any restrictions on the coalitions that may form. If at every step all blocking trades are chosen with positive probability, convergence to a stable allocation occurs in finite time with probability one. If coalitions are unrestricted, the outcome of vote trading must be Pareto optimal, but unless there are three voters or two issues, it need not correspond to the Condorcet winner. “A Property Rights Approach to Temporary Work Visas” (with Adam Cox), 2018, Journal of Legal Studies, 47 (S1), S195-S227. Abstract: Temporary labor visa rules in the United States are criticized on three grounds: for failing to allocate visas efficiently, for failing to adequately protect domestic workers, and for exposing migrant workers to exploitation. We argue that it is possible to address all three problems by re-configuring the property rights associated with the visas and carefully designing the mechanism for allocating those rights. Our core insight is to unbundle the two rights that today are typically combined: the firm’s right to employ a foreign worker, and the worker’s right to reside and work in the country during that time. A three-pronged approach—auctioning abstract pre-contract visas to firms, allowing their trade on a secondary market, and transferring the visa’s ownership to the worker upon signature of the employment contract—has the potential to improve the efficiency of visa allocation, to better shield domestic workers, and to protect foreign workers from exploitation. Abstract: How much do people lie, and how much do people trust communication when lying is possible? An important step towards answering these questions is understanding how communication is interpreted. This paper establishes in a canonical experiment that competition can alter the shared communication code: the commonly understood meaning of messages. We study a Sender-Receiver game in which the Sender dictates how to share $10 with the Receiver, if the Receiver participates. The Receiver has an outside option and decides whether to participate after receiving a non-binding offer from the Sender. Competition for play between Senders leads to higher offers but has no effect on actual transfers, expected transfers, or Receivers’ willingness to play. The higher offers signal that sharing will be equitable without the expectation that they should be followed literally: under competition “6 is the new 5”. Democracy for Polarized Committees (with J.F. Laslier and A. Mace’), 2017, Games and Economic Behavior, 106, 239‐259. Abstract: In polarized committees, majority voting disenfranchises the minority. Allowing voters to spend freely a fixed budget of votes over multiple issues restores some minority power. However, it also creates a complex strategic scenario: a hide-and-seek game between majority and minority voters that corresponds to a decentralized version of the Colonel Blotto game. We offer theoretical results and bring the game to the laboratory. The minority wins as frequently as theory predicts, despite subjects deviating from equilibrium strategies. Because subjects understand the logic of the game — minority voters must concentrate votes unpredictably — the exact choices are of secondary importance, a result that vouches for the robustness of the voting rule to strategic mistakes. Storable Votes and Judicial Nominations in the US Senate (with S. Turban and G. Wawro), 2017, Journal of Theoretical Politics, 29: 243-272. Abstract: We model a procedural reform aimed at restoring a proper role for the minority in the confirmation process of judicial nominations in the US Senate. We propose that nominations to the same level court be collected in periodic lists and voted upon individually with storable votes, allowing each senator to allocate freely a fixed number of total votes. Although each nomination is decided by simple majority, storable votes make it possible for the minority to win occasionally, but only when the relative importance its members assign to a nomination is higher than the relative importance assigned by the majority. Numerical simulations approximate the composition of the 113th and 114th Senates. Under plausible assumptions motivated by a game theoretic model, we find that a minority of 45 senators would be able to win about 20 percent of confirmation battles when the majority party controls the presidency, and between 40 and 60 percent when the president identifies with the minority party. For most parameter values, the possibility of minority victories increases aggregate welfare. Democracy Undone. Systematic Minority Advantage in Competitive Vote Markets (with S. Turban), Games and Economic Behavior, 2014, 88: 47-70. Abstract: We study the competitive equilibrium of a market for votes where the choice is binary and it is known that a majority of the voters supports one of the two alternatives. Voters can trade votes for a numeraire before making a decision via majority rule. We identify a sufficient condition guaranteeing the existence of an ex ante equilibrium. In equilibrium, only the most intense voter on each side demands votes, and each demands enough votes to alone control a majority. The equilibrium strongly resembles an all-pay auction for decision power: it makes clear that votes are only a medium for the allocation of power. The probability of a minority victory is always higher than efficient and converges rapidly to one-half as the electorate increases, for any minority size. The numerical advantage of the majority becomes irrelevant: democracy is undone by the market. Vote Trading with and without Party Leaders (with Thomas Palfrey and Sebastien Turban), 2014, Journal of Public Economics, 112:115-128. Abstract: Two groups of voters of known sizes disagree over a single binary decision to be taken by simple majority. Individuals have different, privately observed intensities of preferences and before voting can buy or sell votes among themselves for money. We study, theoretically and experimentally, the implication of such trading for outcomes and welfare when trades are coordinated by the two group leaders and when they take place anonymously in a competitive market. The theory has strong predictions. In both cases, trading falls short of full efficiency, but for opposite reasons: with group leaders, the minority wins too rarely; with market trades, the minority wins too often. As a result, with group leaders, vote trading improves over no-trade; with market trades, vote trading can be welfare reducing. The theoretical predictions are strongly supported by the experimental data. Competitive Equilibrium in Markets for Votes (with A. Llorente-Saguer and T. Palfrey), 2012, Journal of Political Economy, 120: 593-658. Abstract: We develop a competitive equilibrium theory of a market for votes. Before voting on a binary issue, individuals may buy and sell their votes with each other. We define the concept of ex ante vote-trading equilibrium and show by construction that an equilibrium exists. The equilibrium we characterize always results in dictatorship if there is any trade, and the market for votes generates welfare losses, relative to simple majority voting, if the committee is large enough or the distribution of values is not very skewed. We test the theoretical implications in the laboratory using a continuous open-book multiunit double auction. Storable Votes. Protecting the Minority Voice, Oxford University Press, 2012. Introduction. Agenda control as a cheap talk game, 2011, Games and Economic Behavior, 72: 46-76. Abstract: The paper studies a committee voting sequentially on a known series of binary proposals. Each member is granted, in addition to a vote for each proposal, a single extra bonus vote – a streamlined version of Storable Votes. When the order of the agenda is exogenous, a sufficient condition guarantees the existence of welfare gains, relative to simple majority voting. But is efficiency compromised if a chair controls the order of the agenda? The agenda becomes cheap talk and can be used to transmit information about the chair’s priorities. The game has multiple equilibria, differing in the precision of the information transmitted, but the welfare impact is minor, and the comparison to simple majority voting is unchanged. In laboratory experiments, subjects have difficulty identifying the informative strategies, but payoffs are effectively identical to theoretical predictions. The bonus vote matters; the chair’s control of the agenda does not. Protecting Minorities in Large Binary Elections. A Test of Storable Votes Using Field Data (with S. Ehrenberg, J. Shen and A. Gelman), 2010, B. E. Journal of Economic Analysis, (Advances), 10, 1. Abstract: The legitimacy of democratic systems requires the protection of minority preferences while ideally treating every voter equally. During the 2006 student elections at Columbia University, we asked voters to rank the importance of different contests and to choose where to cast a single extra “bonus vote,” had one been available — a simple version of Storable Votes. We then constructed distributions of intensities and electoral outcomes and estimated the probable impact of the bonus vote through bootstrapping techniques. The bonus vote performs well: when minority preferences are particularly intense, the minority wins at least one contest with 15-30 percent probability; when the minority wins, aggregate welfare increases with 85-95 percent probability. The paper makes two contributions: it tests the performance of storable votes in a setting where preferences were not controlled, and it suggests the use of bootstrapping techniques when appropriate replications of the data cannot be obtained. Minorities and Storable Votes (with T. Palfrey and R. Riezman), 2008, Quarterly Journal of Political Science, 3: 165-200. Abstract: The paper studies a simple voting system that can increase the power of minorities without sacrificing aggregate efficiency or treating voters asymmetrically. Storable votes grant each voter a stock of votes to spend as desired over a series of binary decisions and thus elicit voters’ strength of preferences. The potential of the mechanism is particularly clear in the presence of systematic minorities: by accumulating votes on issues that it deems most important, the minority can win occasionally. But because the majority typically can outvote it, the minority wins only if its strength of preference is high and the majority’s strength of preference is low. The result is that the minority’s preferences are represented, while aggregate efficiency either falls little or in fact rises, relative to simple majority voting. The theoretical predictions of our model are confirmed by a series of experiments: the frequency of minority victories, the relative payoff of the minority versus the majority, and the aggregate payoffs all match the theory. A Simple Scheme to Improve the Efficiency of Referenda (with A. Gelman), 2008, Journal of Public Economics, 92: 2240-2261. Abstract: Referenda are becoming a common tool for public decision-making, and as reliance on direct democracy increases, so does the importance of giving representation to strongly held minority preferences. This paper discusses a very simple scheme that treats everybody symmetrically but gives weight to intense preferences: voters faced with a number of binary proposals are given one regular vote for each proposal plus a single additional bonus vote to cast as desired. Decisions are then taken according to the majority of votes cast. We study the scheme in a number of different models and identify empirically plausible conditions under which ex ante utility increases, relative to simple majority voting. Information Channels in Labor Markets. On the Resilience of Referral Hiring (with N. Hanaki), 2008, Journal of Economic Behavior and Organizations, 66, 492-513. An Experimental Study of Storable Votes (with A. Gelman and T. Palfrey), 2006, Games and Economic Behavior, 57, 123-154. Abstract: The Storable Votes mechanism is a voting method for committees that meet periodically to consider a series of binary decisions. Each member is allocated a fixed budget of votes to be cast as desired over the sequence of decisions. This provides incentives for voters to spend more votes on those decisions that matter to them more, typically generating welfare gains over standard majority voting with non-storable votes. Equilibrium strategies have a very intuitive feature—the number of votes cast must be monotonic in the voter’s intensity of preferences—but are otherwise difficult to calculate, raising questions of practical implementation. We present experimental data where realized efficiency levels were remarkably close to theoretical equilibrium predictions, while subjects adopted monotonic but off-equilibrium strategies. We are led to conclude that concerns about the complexity of the game may have limited practical relevance. Why Personal Ties Cannot Be Bought, (with N. Hanaki), 2006, American Economic Review, P&P, 96, 2, 261-264. Storable Votes, 2005, Games and Economic Behavior, 51, 391-419. Abstract: Motivated by the need for more flexible decision-making mechanisms in the European Union, the paper proposes a simple but novel voting scheme for binary decisions taken by committees that meet regularly over time. At each meeting, committee members are allowed to store their vote for future use; the decision is then taken according to the majority of votes cast. The possibility of shifting votes intertemporally allows agents to concentrate their votes when preferences are more intense, and although the scheme will not achieve full efficiency, storable votes typically lead to ex ante welfare gains over non-storable votes. Welfare gains can be proven rigorously in the case of 2 voters. With more voters, counterexamples can be found, but the analysis suggests that the welfare improvements should continue to hold if one of the following conditions is satisfied: (i) the number of voters is above a minimum threshold; (ii) preferences are not too polarized; (iii) the horizon is long enough. Redistribution Policy: A European Model, 2005, Journal of Public Economics, 89, 1305-1331. Abstract: Following the rationale for regional redistribution programs described in the official documents of the European Union, this paper studies a simple multicountry model built around two regions: a core and a periphery. Technological spillovers link firms’ productivity within each of the two regions, and each country’s territory falls partly in the core and partly in the periphery, but the exact shares vary across countries. In line with the official view of the European Union, we find that the efficient regional allocation requires both national and international transfers. If migration is fully free across all borders, the optimal redistribution policy results from countries’ uncoordinated policies. However, if countries have the option of setting even imperfect border barriers, then efficiency is likely to require coordination on both barriers and international transfers (both of which will be set at positive levels). The need for coordination increases as the Union increases in size. Abstract: Incomplete information creates matching friction that interferes with the ability of prices to allocate scarce resources across countries but can be overcome by international information- sharing networks. When the difference between country factor-endowment ratios is large relative to network ties, efficient arbitrage breaks down, the price (wage) of each country’s immobile resource becomes partially insulated from changes in foreign supply, and trade liberalisation causes less resource price convergence. The model is applied to the trade and wages debate, to whether ties can reduce world welfare through trade diversion, and to the effect of ties on trade in differentiated versus homogeneous products. Abstract: History provides many examples of cohesive groups dispersed over several countries who exploit the ties between their members to gain entry into foreign markets. The phenomenon is well-established empirically and noteworthy because it suggests the importance of informational barriers in international transactions. We present a simple model where output is produced through a joint venture, and agents have complete information domestically but are unable to judge the quality of their match abroad. A minority of individuals, otherwise identical to all others, can exploit complete information in international matches between group members, if they so choose. Group ties increase aggregate trade and income, but hurt the anonymous market because they deprive it disproportionately of the group’s more productive members. Public Goods in Trade: On the Formation of Markets and Jurisdictions (with J. Feinstein), 2002, International Economic Review, 43, 437-462. Abstract: Must the integration of markets be accompanied by the harmonization of societies’ institutions? We study a model of heterogeneous individuals where a public good directly affects returns from trade. Trade takes place in the market, whereas the public good is provided by the jurisdiction, and individuals choose which market and which jurisdiction to join. Although trade between different jurisdictions entails transaction costs, only at intermediate market sizes must trading partners belong to a single jurisdiction. When markets are small, multiple jurisdictions can exist, although a single one is preferable; when markets are large, multiple jurisdictions are both possible and desirable. The Role of Market Size in the Formation of Jurisdictions, 2001, Review of Economic Studies, 68, 83-108. Abstract: Administrative and political reorganization is being actively debated even in the mature, stable economies of Western Europe. This paper investigates the possibility that such a reorganization is tied to the integration of economic markets. The paper describes a model where heterogeneous individuals form coalitions for the provision of a public good and shows that the number and composition of these jurisdictions depend on the overall size of the market. The range of economic activities engaged in by jurisdiction members increases when the size of the market increases, and so does the range of their preferences over the public good. The result is a change in the endogenous borders of the jurisdictions, and a reorganization of all coalitions. The optimal number of jurisdictions is unique and increases with market size. In the absence of compensating transfers, however, the decentralized equilibrium need not be optimal and is not unique, although there is no restriction on individuals’ ability to coordinate the formation of coalitions. It remains true that a large enough increase in market size will trigger an increase in the number of jurisdictions. Tradable Deficit Permits. Efficient Implementation of the Stability Pact in the European Monetary Union, 1999, Economic Policy, 29, 323-361. Abstract: Borrowing from the experience of environmental markets, this paper proposes a system of tradable deficit permits as an efficient mechanism for implementing fiscal constraints in the European Monetary Union: having chosen an aggregate target for the Union and an initial distribution of permits, EMU countries could be allowed to trade rights to deficit creation. The scheme exploits countries’ incentives to minimize their costs, is transparent and flexible in accommodating idiosyncratic shocks and allows for adjustments in case of Europe-wide recessions. In addition, it need not treat all countries identically and can be designed to penalize countries with higher debt to GDP ratios. Finally, the scheme rewards countries for reducing their deficit below the initial allowance, lending credibility to the Stability Pact’s goal of a balanced budget in the medium run. On Market Integration and the Development of Institutions. International Commercial Arbitration, 1996, European Economic Review, 40, 155‑186 (Reprinted in O. C. Ashenfelter and R. K. Iyengar (eds. ), 2009, Economics of Commercial Arbitration and Dispute Resolution, Edward Elgar Publishing). Abstract: This paper suggests that the institutional basis necessary to support efficient intemational trade is provided not only by treaties among national governments but also by international coalitions of private agents. International commercial arbitration is an important example of these private coalitions. The paper reviews the provisions and the practice of international arbitration, and presents a general equilibrium model of the relationship between the expansion of international trade and the adoption of arbitration. The model shows that arbitration alters the size and composition of markets, while at the same time responding to exogenous changes in trade. Can Foreign Aid Accelerate Stabilization? (with Barry Eichengreen), 1996, Economic Journal, 106, 605‑619. Abstract: This paper studies the effect of foreign aid on economic stabilisation. Following Alesina and Drazen (1991), we model the delay in stabilising as the result of a distributional struggle. Since the delay is used to signal each faction’s strength, the effect of the transfer depends on the role it plays in the release of information. We show that this role depends on the timing of the transfer: foreign aid decided and transferred sufficiently early into the game leads to earlier stabilisation; but aid decided or transferred too late is destabilising and encourages further postponement of reforms. Participation in a Currency Union, 1992, American Economic Review, 82, 847‑863. Abstract: In any voluntary cooperative agreement, the potential gain from deviation should determine the minimum influence required over common decision-making. This paper begins by observing that a highly asymmetrical distribution of power between two partners is not sustainable if the choice variables are strategic substitutes. It then studies a simple general-equilibrium model of a monetary union and shows that a small economy will not take part in the agreement unless it can secure influence that is more than proportional to its size and a transfer of seigniorage revenues in its favor. Federalism and Clubs (with Bruno Frey), 1992, European Economic Review, P&P, 36, 639‑646. Economic Exchange in Hyperinflation (with Jonathan Feinstein), 1990, Journal of Political Economy, 98, 1‑27. Abstract: Historical evidence indicates that hyperinflations can disrupt individuals’ normal trading patterns and impede the orderly functioning of markets. To explore these issues, we construct a theoretical model of hyperinflation that focuses on individuals and their process of economic exchange. In our model buyers must carry cash while shopping, and some transactions take place in a decentralized setting in which buyer and seller negotiate over the terms of trade of an indivisible good. Since buyers face the constant threat of incoming younger (hence richer) customers, their bargaining position is weakened by inflation, allowing sellers to extract a higher real price. However, we show that higher inflation also reduces buyers’ search, increasing sellers’ wait for customers. As a result, the volume of transactions concluded in the decentralized sector falls. At high enough rates of inflation, all agents suffer a welfare loss. Testing for Rational Bubbles, 1989, Journal of Monetary Economics, 24,109‑122. Abstract: The presence of rational price bubbles during the German hyperinflation is tested under two different structural assumptions on the money process. If the money supply is constrained to be exogenous to the current inflation rate, the hypothesis of no bubble can be rejected. However, this is no longer found to be true when a feedback rule from inflation to money creation is allowed. The analysis contradicts previous results presented in the literature. “Storable Votes and Quadratic Voting. An Experiment on Four California Propositions” (with Luis Sanchez), November 2018.